I’ve been working on the beautiful Rock Island. It all seemed to be going so well. 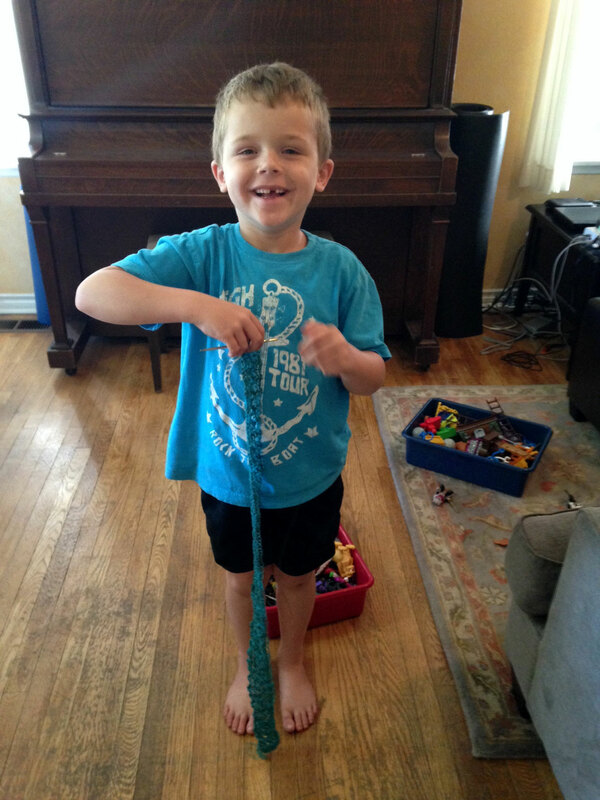 I finished knitting the mile long strip over the weekend. I had my assistant help me take a picture of the strip. 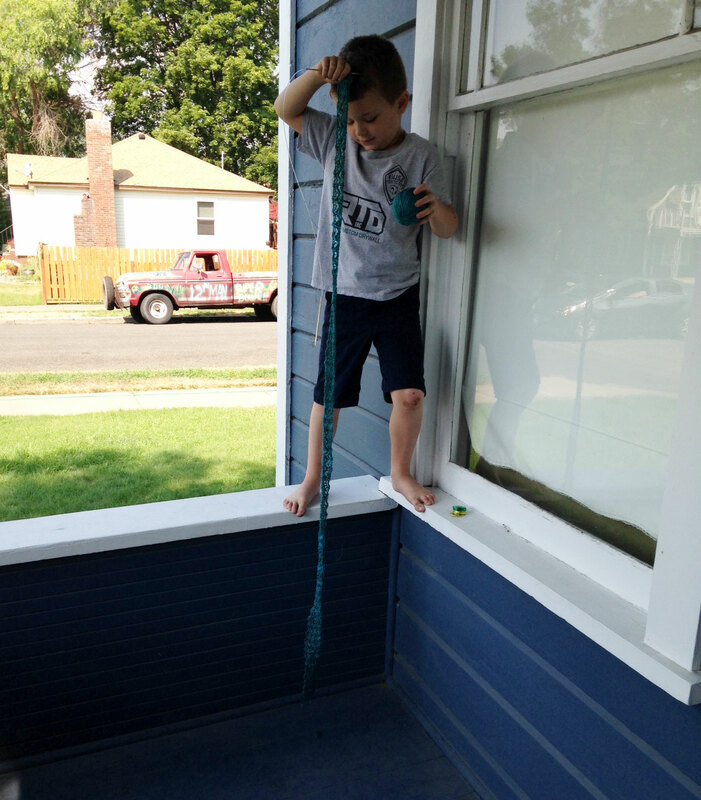 He bravely balanced on the porch railing so we could demonstrate the strip’s length. I thought I was ready to begin the next part of the shawl. I was very excited. At one end of every row, there is a yarnover. After I finished the strip, I began picking up stitches by picking up each yarnover. I was moving merrily along when all of a sudden there were no nice yarnovers to pick up. Inexplicably, my yarnovers were all of a sudden at the wrong end of the row. For about 30 rows. The other end had a nice scalloped edge, except for these 30 rows, where it was a straight yarnover edge. Good grief. Then I also didn’t have enough stitches to pick up. Also inexplicably. It might have had something to do with where I messed up those approximately 30 rows. So I had to rip it back. Davey is smiling cheerfully as he demonstrates my drastically reduced strip. I am not feeling quite as cheerful about the situation, but I enjoy his optimistic smile. I don’t have the gumption to continue on it right now. 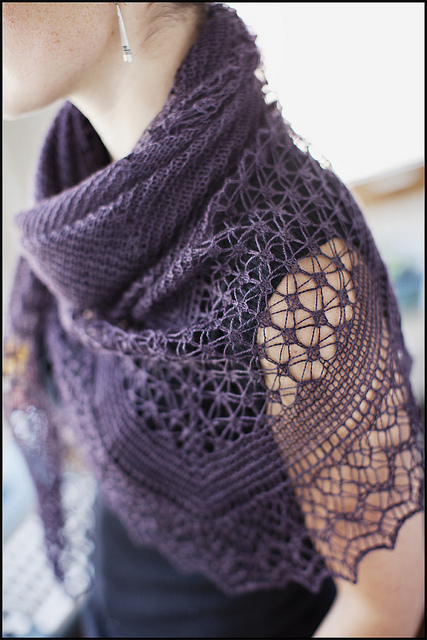 I learned a great term from a knitting friend – Time out. Oh no! That is terrible, but I do love Dave’s gap tooth smile. Oh but it is going to be so beautiful when you finish it! I love the pattern!! !